Of late, I’ve been craving butter chicken and would ask rif to eat it with me at Sin Lai Ping. We go there quite often; I reckon at least twice a month. 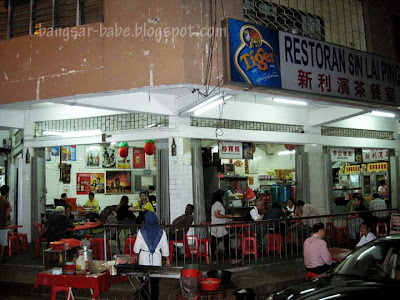 Everytime we go there, we would order the same thing – butter chicken (RM12) and sweet & sour pork (RM10). Did I not mention we are creatures of habit? 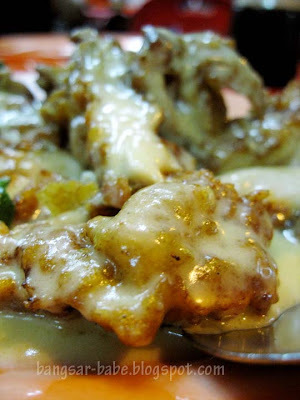 =P The thick gravy is creamy, smooth and mildly spicy. 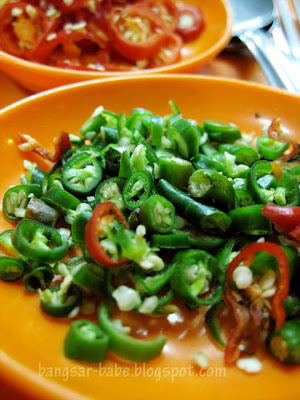 I love the aroma the cili padi omits in the gravy. And the fried boneless chicken leg is crispy on the outside and juicy on the inside. 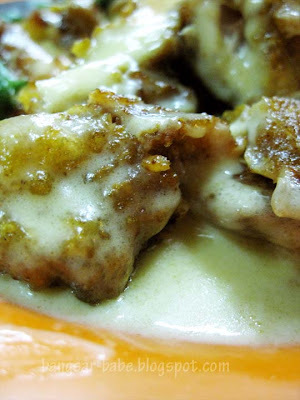 Good enough on its own, but together with butter gravy, it is shiokness, especially with white rice. 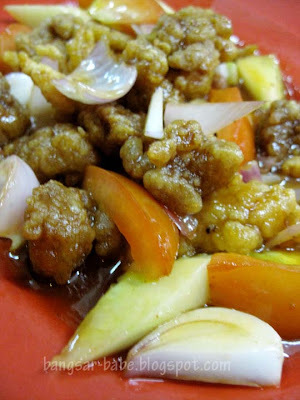 I find the sweet and sour pork gravy slightly on the sweet side. 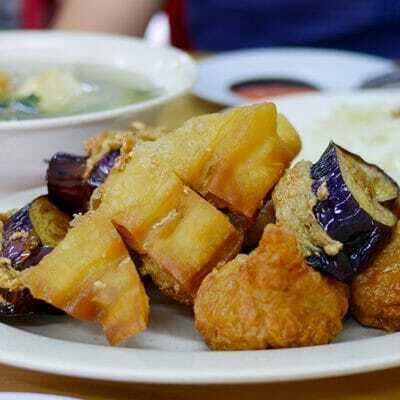 However, the pork pieces are nice and meaty, and coated with the right amount of batter. 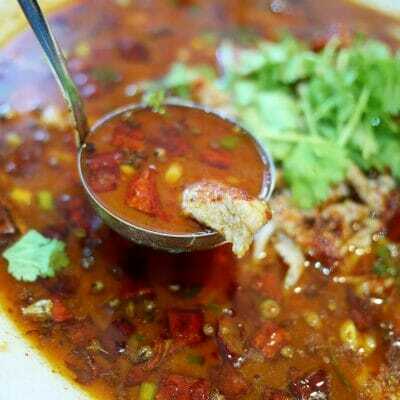 Some places tend to drench the pork pieces with gravy, causing the dish to be soggy but Sin Lai Ping’s version is lightly coated with tomato gravy so the pork pieces remain crispy. Overall, I find this decent. Dinner cost RM24 inclusive of 2 plates of rice. Pretty reasonable for Bangsar standards, don’t you think? Verdict: The food is decent and I like coming here because it’s close to home. safe choices. nowadays i tend to order sweet and sour pork a lot. maybe cz i'm sick of all the other intepretations of pork dishes. too ambitious yet failing to impress as much. ohh..this is the butter chic ya recommended? Bangsar..near enough!! Maybe tapau aft my gym! 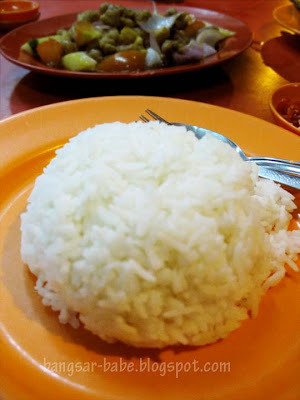 2 dishes, 2 rice = RM24??? today I had 4 dishes, 2 rice + 1 bottle of barley… all RM21.50 lol!!! Wanna know… stay tuned to my blog la… never see your contribution to mine… sigh!!! wah ur ambience 2 out of 10 ar..hahaha maybe to tapau home n eat? looks good..nothing like eating nearby the house hor..
Sean – I think they should have butter squid. I've only seen them deep fry squid. Then get them to pour butter sauce all over! Steven – I don't really like their free soup. A bit tasteless, no? Their 'tai chow' also pretty good. Man-ee min, fly lice and ee min cantonese style is some of my favourites. RM21.50??? Sure or not? Bring me go la!! nomad – Yup. This is the one! 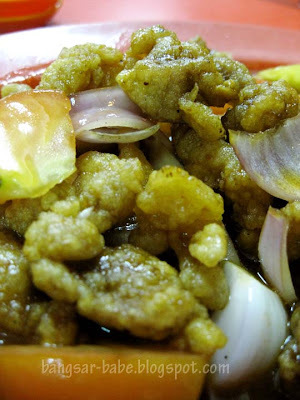 J2Kfm – I agree…it's hard to go wrong with sweet sour pork. Unless the cook is lousy as hell! 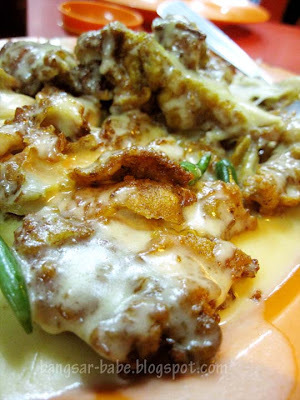 Sugar Bean – Not to say good la. Convenient and decent. I thought it was reasonable…until leo said he got 4 dishes for RM21.50! Used to come here with my friend when she's studying in Pantai Nursing College. Ya hor…it's quite nearby that college! Personalised service with the "reserved" table, as well as ordering on speed-dial before hand … MAGIC! The dark hokkien mee lacked the wok flavor , hardly any ingredients . Sweet sour pork was too sweet n not crispy . The spinach with century eggs were ordinary . Sotong with salted eggs lacked the flavor from the eggs , hardly crispy n had too much floor coating .